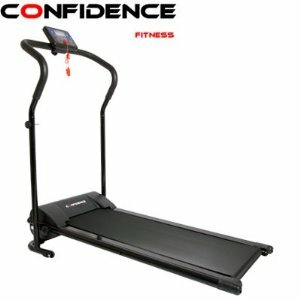 This is the summary of consumer reviews for Weslo Cadence G 5.9 Treadmill. The BoolPool rating for this product is Very Good, with 4.20 stars, and the price range is $189.99-$509.99. 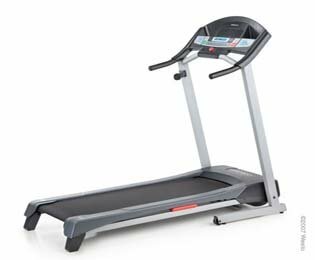 Weslo Cadence G 5.9 treadmill features 6 personal trainer workouts, a 2-position manual incline and Comfort Cell™ Cushioning, to make it a perfect tool for losing weight or increasing performance. These programs take the guesswork out of your workout by automatically adjusting the speed of the treadmill for increased intensity. 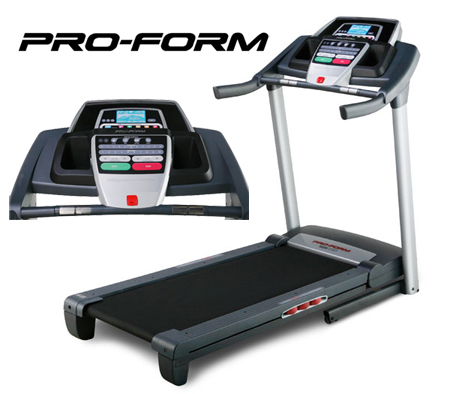 The incline is easy to change and increases the intensity of the workout. An Easy Pulse™ Heart Rate Monitor gets an accurate heart rate reading and displays on a blue tinted LCD console display. This display tracks speed, time, distance and calories burned to monitor the progress throughout the workout. 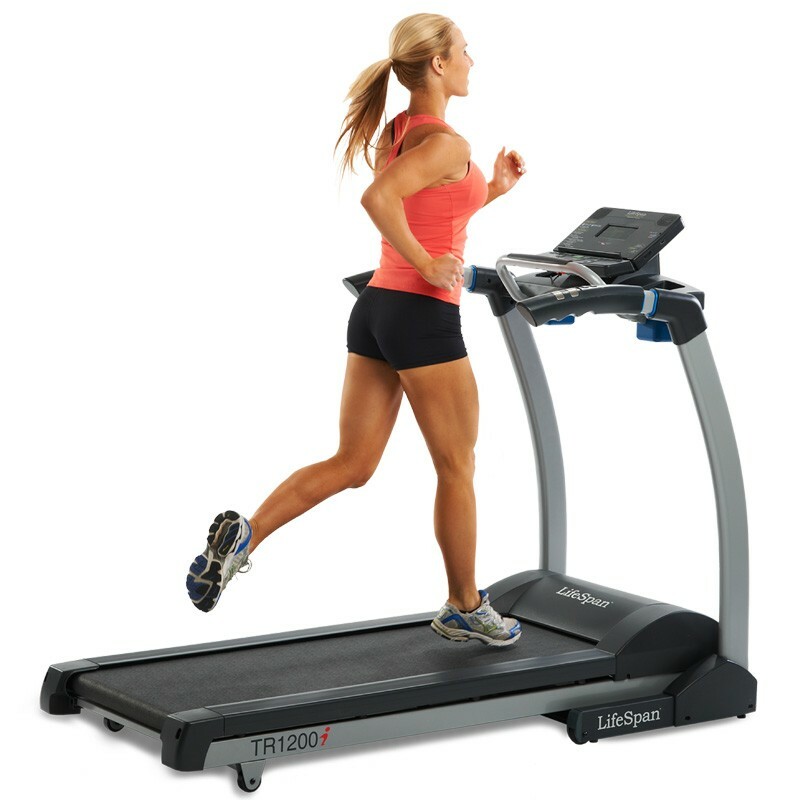 The treadmill is easy to assemble and use and has a wide running belt. Some users complain about the cheap plastic parts which break easily. 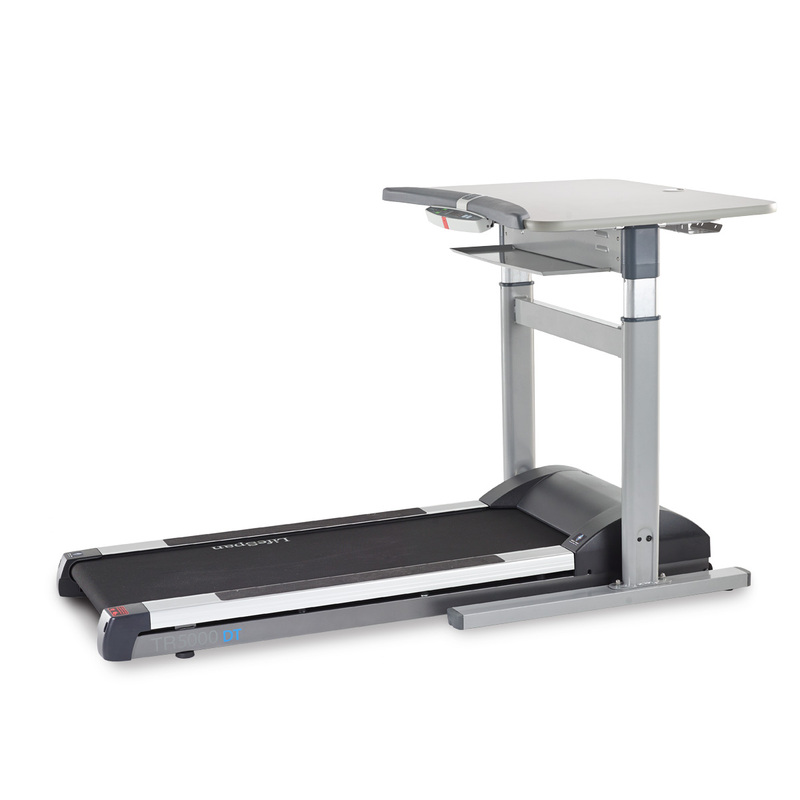 The Weslo Cadence G 5.9 is an inexpensive but decent treadmill and it is protected with a 1-Year Motor Warranty and 90 Days Parts & Labor from the manufacturer. The running board broke just 10 months after I bought it. I bought this treadmill about a month ago. 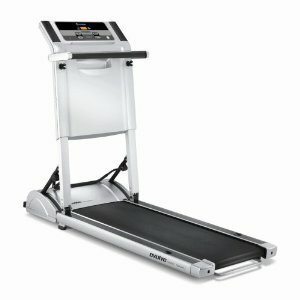 I bought this treadmill on January 28, 2011. Should have bought a different brand. I bought this machine mainly for the price. 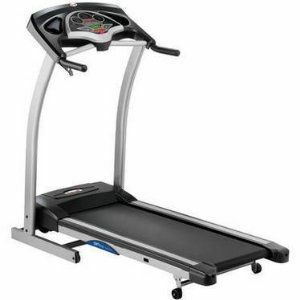 Bought this treadmill based on the above average reviews. I'd recommend this product highly. It seems a pretty decent, sturdy product. It seems to be very well built. Only problem i've is that in low light the readout is hard to see (no backlight). Granted the plastic bolts held on plastic parts, but four of the bolts had snapped off before I got the treadmill out of the box! I did the site to store delivery and when we opened the box to set it up 3 of the screws on the side plastic panels you step on were broken out of the plastic....unrepairable. 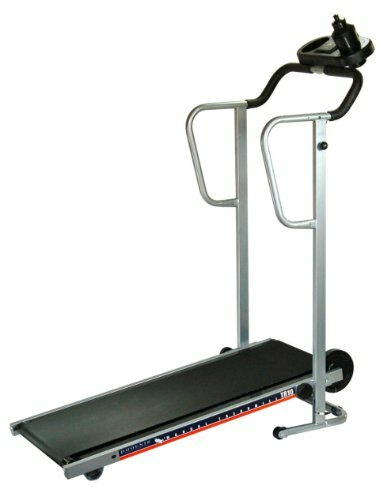 we found out that the parts under side rail were so weak, that after one hour of use, the treadmill started to make loud noise because the broken plastic parts were caught under the belt. But aside from that, everything is working perfectly.I read a review saying that it's kinda hard to read the numbers on the screen, try removing this very thin layer of plastic and see if that helps. Looks like most of the treadmills are being shipped with a fault motor assembly. They'll ship some parts to you (which has no ETA) and you're expected to open the motor assembly and replace them yourself. 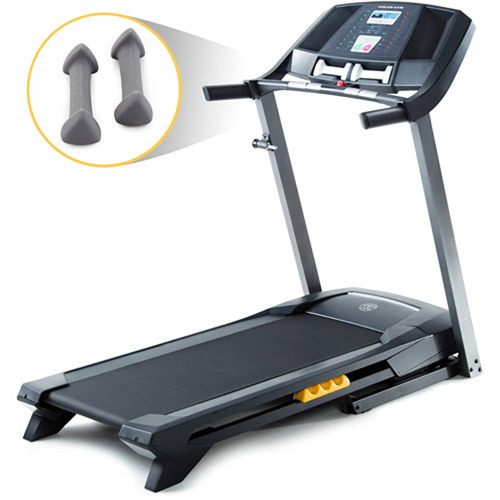 When a product weighs as much as a treadmill, they shouldn't use plastic bolts. And, the footpads on the side of the belt are very thin plastic - mine was already broken out of box.I'm totally not comfortable repairing a "NEW" item even before I get to use it. then we removed the parts, and 30 minutes later, the other side broke!! It does keep track of calories, distance, and time elapse. It shows calories burned distance, time and speed goes up to 10 in speed and has 3 different weight loss programs and 3 intensity programs if you're looking for a change. As a mother of 3 I was having a hard time finding time to work out, I was looking for something effective that I could do at home that didn't cost alot. Timely delivery to my door. I bought this treadmill because my gym membership is getting ready to expire school is starting back and I work full time. It works great to keep our pack well balanced. I work full time and the most walking I do is from the car to my cubicle! If you don't care about seeing the mileage, time, etc., then this's a good little machine. So it'll circle around 4 times in 1 mile. Calories counted seemed accurate and of course the time elapse was.Overall:. The display indicates time walked, speed, calories burned, and distance walked. Now I'm walking 1.3 (speed) and for 10 minutes at a time,. I'm not a jock . I'm 83 years young,use this for exercise, walking,don't care to walk outside enjoy my ac. It works just great for walking. It also shows distance you walk, time and calories burned (which is just an estimate, you really need a heart rate monitor for more accuracy), It's a small incline, which really helps burn extra calories, but isn't high enough to be bothersome on your joints. The first month I was driving to the park or an indoor walking track to get my walking in. I just want to keep walking. The treadmill is what we were looking for to exercise on especially during bad weather when you can't go walking outside. OVER THE SUMMER I STARTED WALKING TRAILS AT THE PARKS BUT NOW THAT BAD (COLD, WET) WEATHER IS HERE, I DON'T GET OUT TO WALK. I love the convenience of being able to walk at home on my time.